Concept mapping is a method of organizing, learning, and representing knowledge. It is an active approach to learning that goes beyond simply reading a chapter, taking notes, and/or highlighting key concepts. Why do I want to learn concept mapping? Concept mapping is, for most of us, a new way to learn. Teaching you a new way to learn is my way of helping you gain skills that will contribute to your success beyond the classroom. Research on how learning works points to the fact that "it is not just what you know but how your organize what you know that influences learning and performance" (Ambrose et al. 2010:65). I focus on concept mapping because it is a key skill you can use to help you learn the many things you will need to learn beyond college. It improves critical thinking, knowledge retention, and can be applied in your other courses and in your life. Click here for instruction and Frequently Asked Questions. Click here for sample maps. How will a Concept Map be Graded? Your concept map will receive an evaluation of "acceptable" (2 points), "marginal" (1 point), or "unacceptable" (0 points) based on the rubric here. 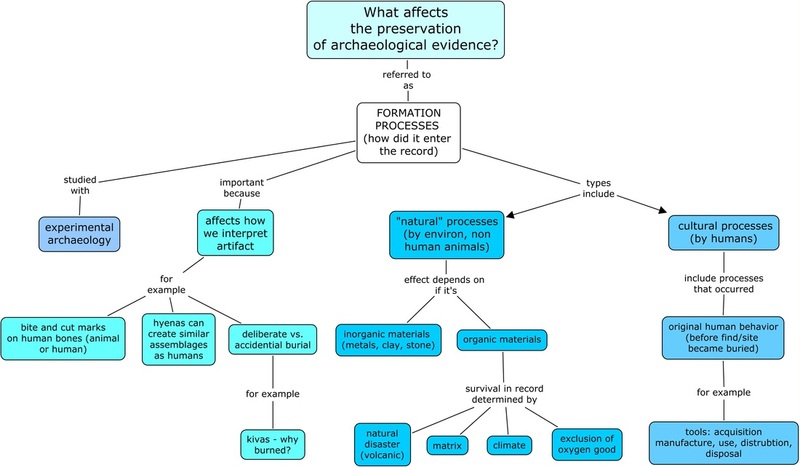 An acceptable concept map will take at least several hours to construct and revise and cannot be completed without a careful reading of the text. To receive credit for your map it must be submitted by its due date; late maps are not accepted. You may revise and re-submit (once) your first submitted Concept Map to improve its evaluation. If you don't understand why you did not receive full credit for the map, please speak with me so I can help you before you re-submit. Please submit the revision to me via email within two weeks from when I graded and returned your original assignment. version of Cmap, not CmapLite. CmapLite won't allow you to export your map as a pdf. VUE (Visual Understanding Environment) from Tufts University (free). I have not tried this software. Inspiration (not free but less than $10). There's also a iPad version. I have not tried this software.